Welcome the dance website of Cathy Clark. 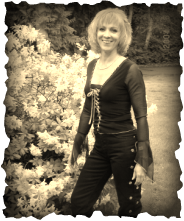 Over the past several years, Cathy has taught all forms of swing, club and country dance in Missoula, Montana and surrounding communities. She has taught group classes at locations as diverse as the Downtown Dance Collective, Sunrise Saloon, Eagles Lodge in Missoula, Fort Owen Inn in Stevensville, MT and Rustic Hut in Florence Montana. She also has taught line dance and partner dancing at private events including Harley Davidson's 105 year celebration event, weddings, schools, dude ranches, and more. Cathy also does team and partner performances and has performed at: Ravalli County Cowboy Ball 2012, First Night Missoula 2013, Hospice Honors 2013 & 2014, Hospice Ball of Missoula 2015, 2017 and 2018. Cathy moved to Montana from the Seattle area, where she taught dance with her dance partners at "The Barn" and at the famed Riverside Inn in Tukwila. Cathy teaches Country Two-Step, Triple Two Step, Night-Club Two Step, East Coast Swing, West Coast Swing, Hustle, Waltz, and Cha Cha. She also teaches popular country partner dances such as Cowboy Cha Cha, Shottish and the Horseshoe as well as some line dances. She continues her own training with current professional national/world swing and country dance champions throughout the country as well as competing at different dance events in Washington, Oregon and California.